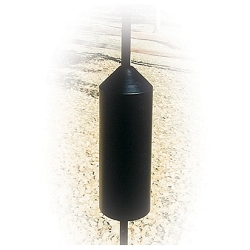 A squirrel baffle made just for 4" x 4" posts! 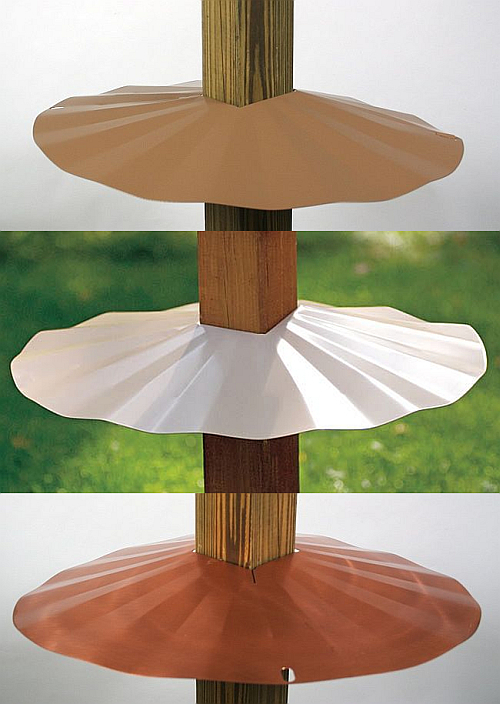 Wraparound break-apart squirrel baffle with a galvanized (unpainted), tan, or copper-tint finish (powder coated over galvanized steel!). Select finish color at checkout. 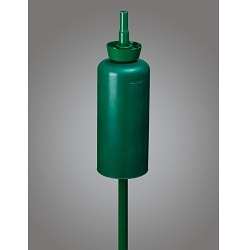 Fits a standard 4x4 post (3-5/8" x 3-5/8"). 23-1/2" in diameter. 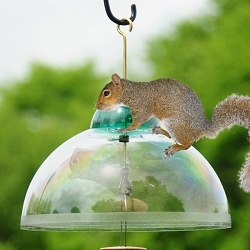 To keep squirrels from getting onto your bird feeder, place your post-mounted feeders 8-10' away from railings, roofs or trees. 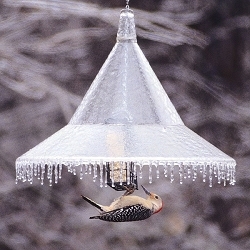 Squirrel baffles should be a minimum of 4' from the ground to protect the bird feeder. 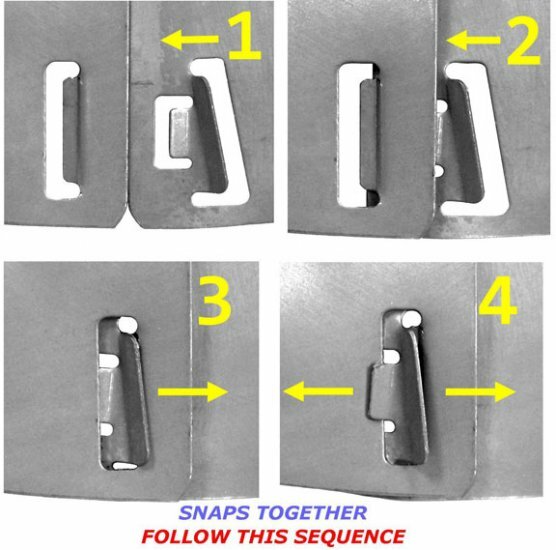 To close your baffle, slide the left tab into the right slot until they snap together. 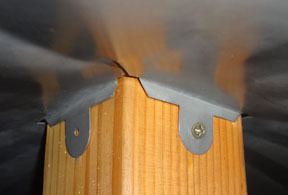 Corrosion resistant screws are provided to attach the baffle to your post. 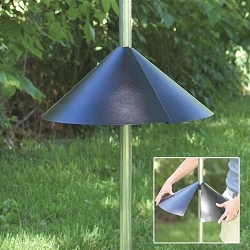 Installing a squirrel baffle on your post prevents squirrels and small raccoons from climbing or jumping up to the bird feeder or house. 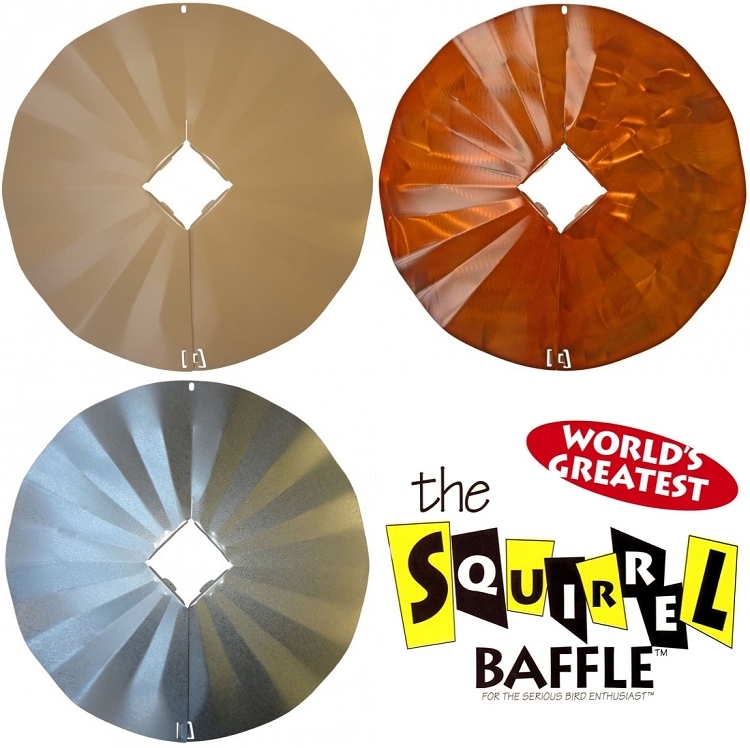 Erva squirrel baffles are made entirely in the US. 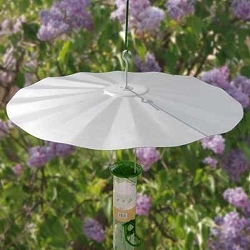 Since they are made with galvanized steel, Erva baffles maintain their attractive appearance for years, and they carry an unconditional lifetime guarantee against defects in material and workmanship. 100% made in the USA! 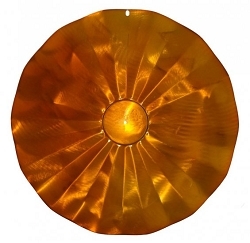 Available in Galvanized (unpainted), Tan or Copper-Tint finish colors. Select color at checkout. Dimensions: 22.5" diameter x 1/16" thick; 3-5/8" x 3-5/8" top square cutout. 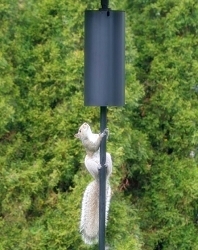 Squirrel Defeater Snap-On Pole Baffle 14"